Banking has drastically changed in the past couple of years. Gone are the days of old school brick-and-mortar branches. Customers now expect more convenient ways of banking – whenever and wherever they need it – on a device of their choice. Today’s customers are connected and attach great importance to information above all else. So be sure to provide them with easy access solutions and some added value. Stop waiting for clients to come to you and know everything about what you offer. Instead, position yourself where the prospects are. Deliver the true value of your product – satisfy the client’s needs. Use the digital domain to make yourself available to your clients anytime, anywhere. With our mobile solution you can engage with your customers whenever they want. 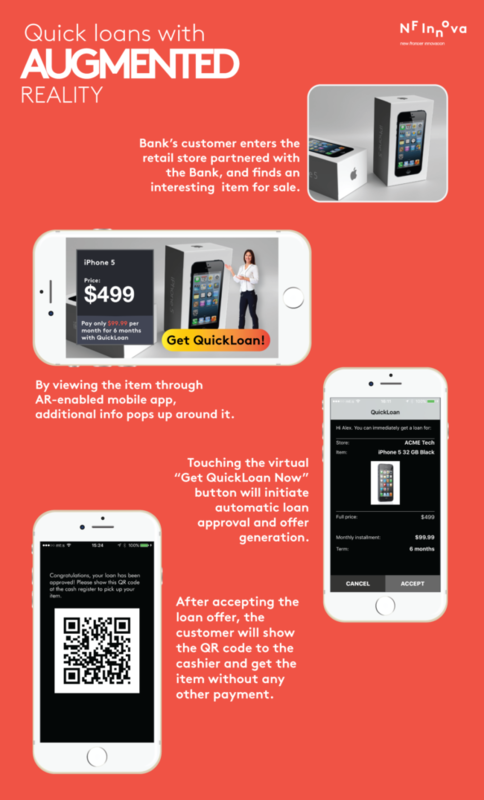 iBanking mobile solution with augmented reality functionality can elevate any shopping experience. Speaking of added value – offer both information and financing at the point of sale. 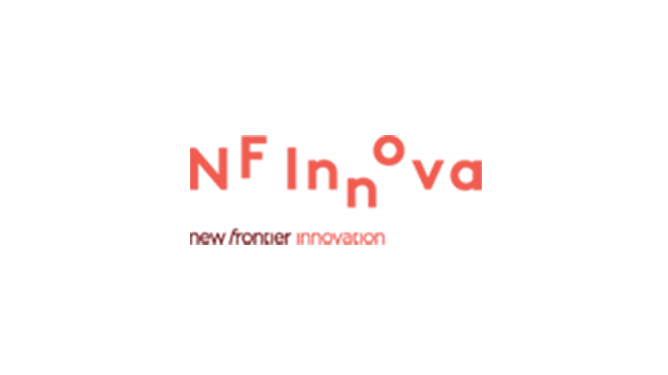 Client using NF Innova mobile app can scan the item he wants to purchase via AR and get additional virtual info pop-ups about the product. If he likes what he sees, he can then and there apply for a quick loan at the touch of the virtual “Get Quick Loan” button. If a client accepts the offer proposal, then a QR code is generated and used for the payment. Easy as that. Possibilities for implementation are manifold and we are there to advise you. Gain revenue and, most of all, get consumer insight for future strategies and development.